I woke up this morning at 5:45 to hike with Blue and Tabby and discovered that his white paw his terribly swollen and he was limping. What did this to him? I got Lonny out of bed to take a look. Poor Blue needed to go out and I wanted him to help me incase he collapsed. Lonny, only wearing underpants, threw on the first thing he could find. Lonny is man enough to rock a Snuggie. Of course the first thing I thought was SNAKE BITE because of my experience with The English Patient but there is no way that could have happened. Lonny and I palpated the foot and determined that it isn’t broken. There isn’t any bruising or punctures that we can tell, either. 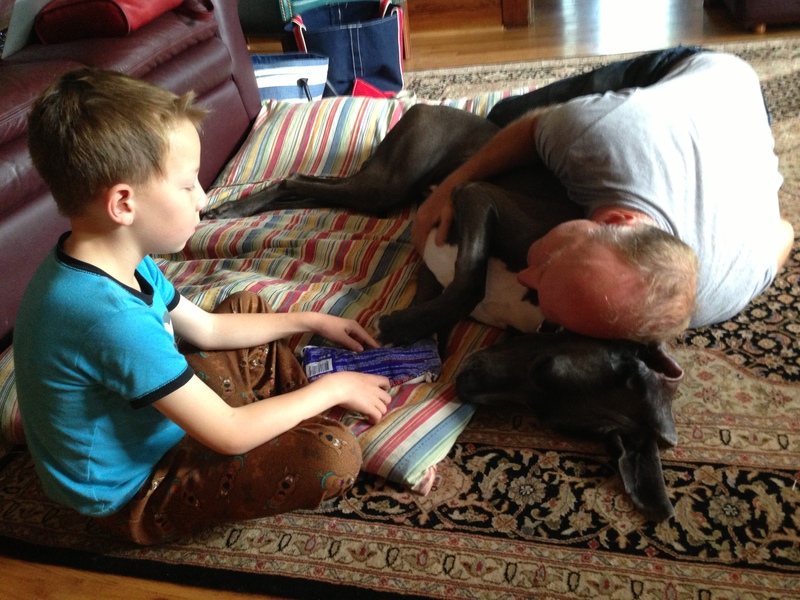 Blue limps on it but can put weight on it when needed. 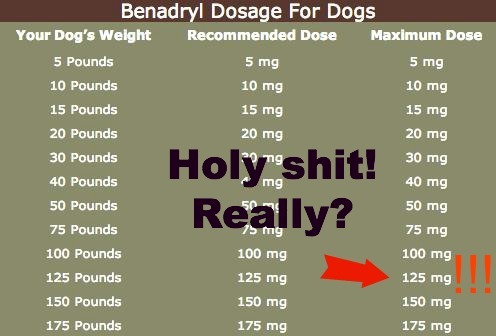 I recall Tabby telling me that her vet recommended Benadryl when she called about an insect sting so I looked up the recommended dosage for dogs. Just as a point of reference, I weight 137 pounds and I should take one, maybe two 25mg caplets. I gave Blue five. Is that lethal? As of now (3+ hours since the Benadryl) the swelling hasn’t gone down. Blue seems to be okay, he’s just resting (probably knocked out from the anti-histamine). Of course this would happen on a Sunday when it is the most expensive to see a vet. Since he doesn’t seem to be distressed (other than when he’s walking, but he can still walk) and we’re sure it isn’t broken, I’m going to give it a day. It’s probably what the vet would tell us to do. The boys will be thrilled to administer first aid and watch Up with him. Testiclese is applying an ice pack. Does anyone have any suggestions? Preferably ones that don’t involve MRI’s and full organ function profiles? 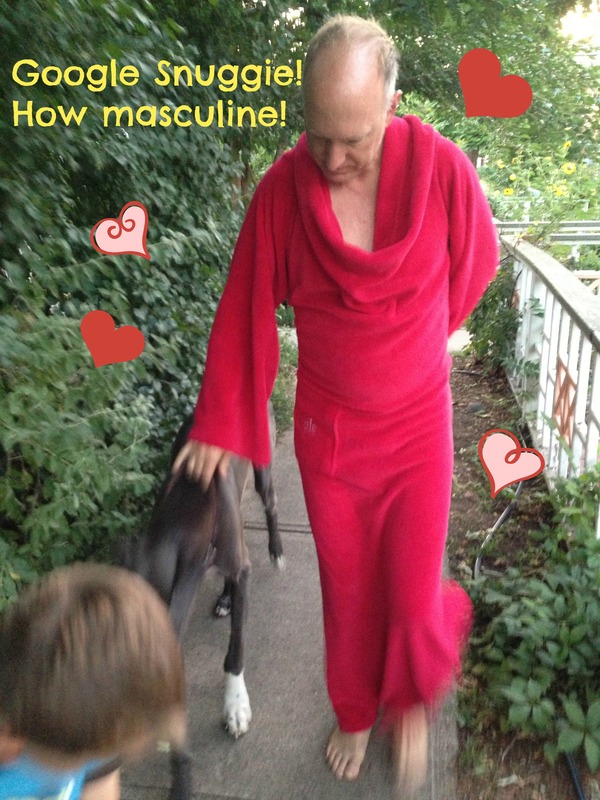 This entry was posted in Husband, Random, Uncategorized and tagged Insect Bite Great Dane, Man Wearing Snuggie, postaday2013, Swollen Great Dane Paw, Swollen Paw. Bookmark the permalink. I am not a dog person but if he is limping, there may be some pain there. Do people give dogs things like ibuprofen or acetaminophen? You are right, there is pain or else he wouldn’t limp. But he doesn’t yelp or pull his paw away when we palpate his paw which makes me think there isn’t a break (thank goodness!). We have some painkillers left over for the chihuahua although I doubt here is enough. I’ll take him to the vet tomorrow if he isn’t improved. Thanks for checking in! Both ibuprofen and acetaminophen are extremely dangerous for dogs and cats. Aspirin is the only safe over the counter pain med for dogs. Poor guy! My pooch is having some back problems right now and it breaks my heart when he’s hurting. Could it be a thorn or a insect sting that got a bit infected? Hope his paw heals up soon! I’m pretty sure it was an insect bite/sting although I can’t see where it occurred on his paw. He’s doing much better, though. The swelling is slowly subsiding and it doesn’t seem to bother him while he’s walking. We did a two-mile walk this morning without any problem, except my hip. Benadryl is a good one (I’m really behind on my blog reading), you can also try lavender essential oils. Hi Heather! How nice to see on my blog! Blue’s foot went back to normal gradually over the course of a week. He’s all better now. Thanks for the advice.